This class format follows that of Yale University’s Beinecke Rare Book and Manuscript Library’s Master Classes. The first portion of the class is an informal lecture by Larissa Leclair discussing successful models for self-publishing (funding, book design, audience, distribution) followed by a hands-on component that utilizes the entire collection of the Indie Photobook Library. Class is capped at 8. This class is limited to 3 participants only. Physical work prints are required (no larger than 7×7 inches) for participation. Working as a group, and utilizing the entire Indie Photobook Library, we will edit, sequence and brainstorm choices for your finished photobook to conceptualize the form and function that fits your photographic work. 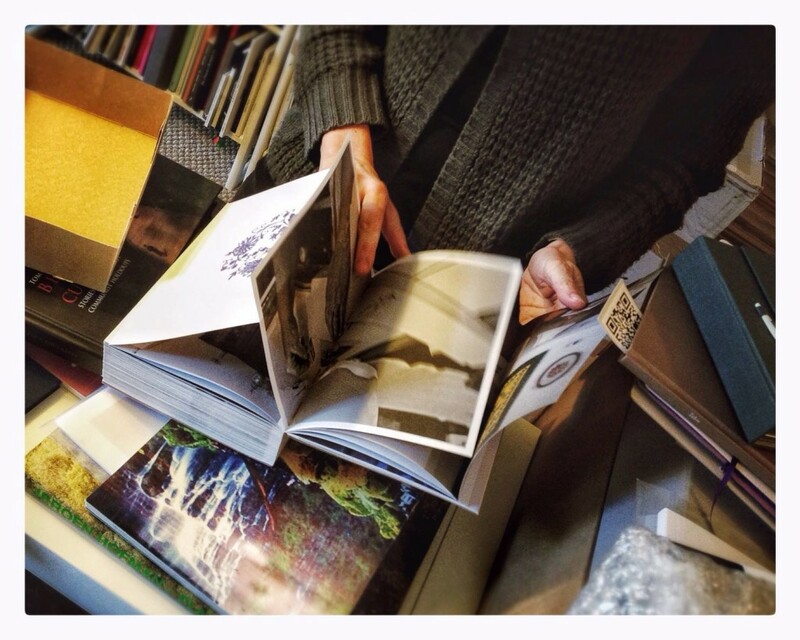 *Once registered, you will receive a confirmation email and address of the Indie Photobook Library. The library is located in Arlington, VA (USA) and accessible by metro from Washington, DC. For questions, contact Larissa Leclair, contact@indiephotobooklibrary.org subject line “Mini Master Class.” Paypal recommended. Paypal fees will be added at time of checkout. Checks are also accepted however registration is not complete until payment is received. No cancellations or refunds. Founded by Larissa Leclair in 2010, the Indie Photobook Library is a physical archive of self-published and indie published photobooks. This includes DIY, photobooks independently published and distributed, photography exhibition catalogs, print-on-demand photobooks, artist books, zines, photobooks printed on newsprint, limited edition photobooks, and non-English language photography books, etc. The collection now includes almost 2000 titles from around the world. The iPL promotes and showcases the books in the collection through over 30 international pop-up and feature-length exhibitions, articles, conferences, guest lectures, and also preserves them as a non-circulating public library. Having a specific collection dedicated to this contemporary movement in publishing allows for the development of future discourse on trends in self-publishing, the ability to reflect on and compare books in the collection, and for scholarly research to be conducted years, decades, and centuries to come. Larissa Leclair is an independent curator and writer. She is the Founder of the Indie Photobook Library. Since May of 2010, the iPL has organized over thirty pop-up library spaces, events, and feature-length exhibitions in the United States, Canada, Guatemala and China. The seminal traveling exhibition “A Survey of Documentary Styles in early 21st century Photobooks” was featured in the San Francisco Chronicle and on TIME LightBox. Larissa Leclair has written for PDN, GUP, PQ, Photo-Eye, and VOP. She has served as a juror for the Blurb Photography Book Now competition, Magenta Foundation’s Flash Forward Festival, the 4th International Photobook Festival Photobook Award in Kassel, Germany, and the CPW Fellowship Fund 2013. She has lectured at the School of Visual Arts, Georgetown University, the Corcoran College of Art & Design, MICA, the New York Art Book Fair, and the Cleveland Museum of Art, among others. Leclair is a Young Voices Fellow for The Next Conversation at the Center for Creative Photography in Tuscon, Arizona.